My son (6) isn’t a fan of chocolate. He certainly doesn’t get that from me! I consider chocolate one of the main food groups and I’d be perfectly happy including chocolate with every one of my meals. Although he’s not a chocolate fan, he loves Oreos. He insists Oreos aren’t chocolate though – “they’re Oreos”. Whatever you say, kiddo. If that means Oreos sometimes end up in our pantry, I have no problem with that. 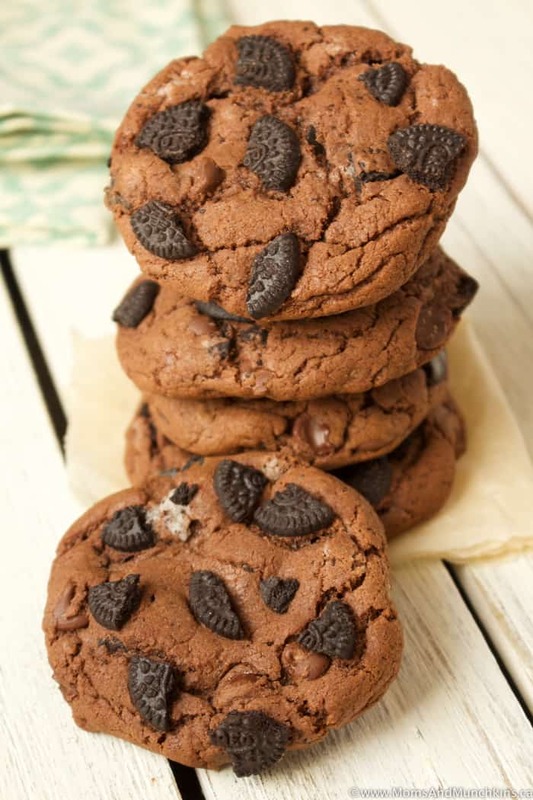 If you love Oreos and chocolate, you’re going to love these Chocolate Oreo Cookies. 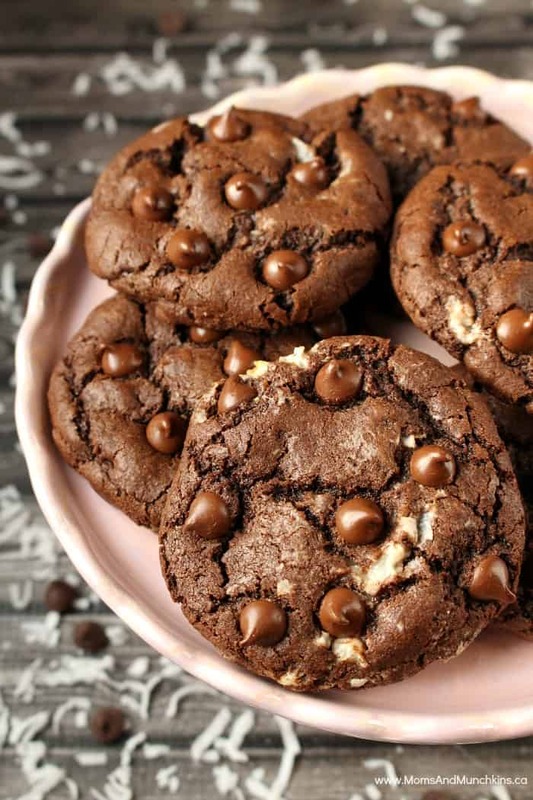 With just 5 ingredients in the recipe, they’re so easy to make. 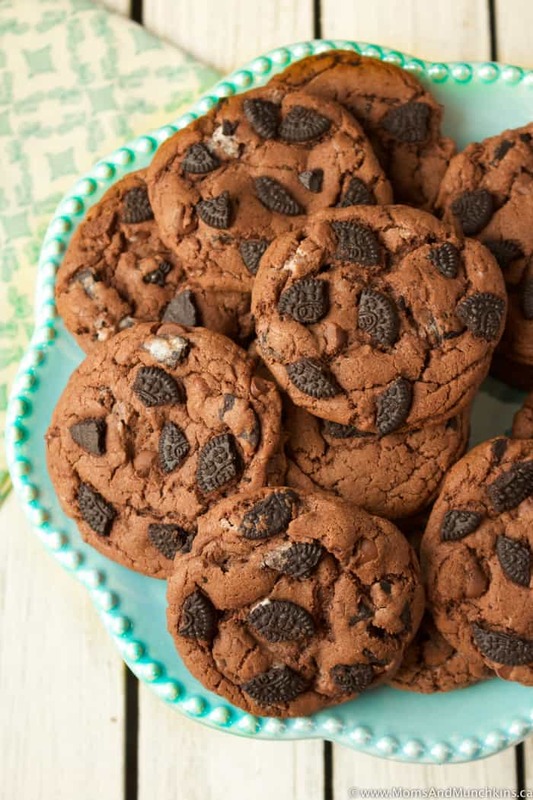 For these cookies, I use mini Oreos but full size are fine too. Mini is usually what we have at home and they take a little less time to break into pieces. Stir chocolate cake mix, eggs and vegetable oil together until well mixed. 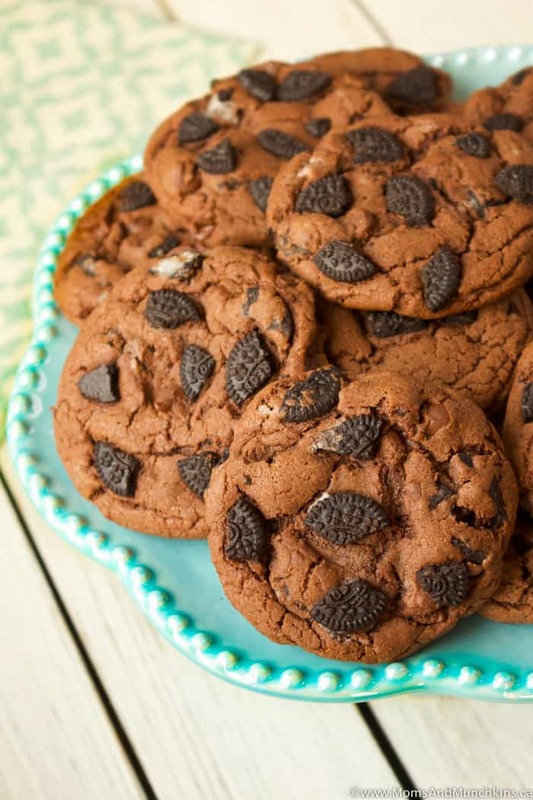 Stir in 1 cup of the broken Oreos and all the chocolate chips. Scoop cookie dough into 2-tablespoon sized cookie balls and place at least 2 inches apart onto prepared baking sheet (ungreased). 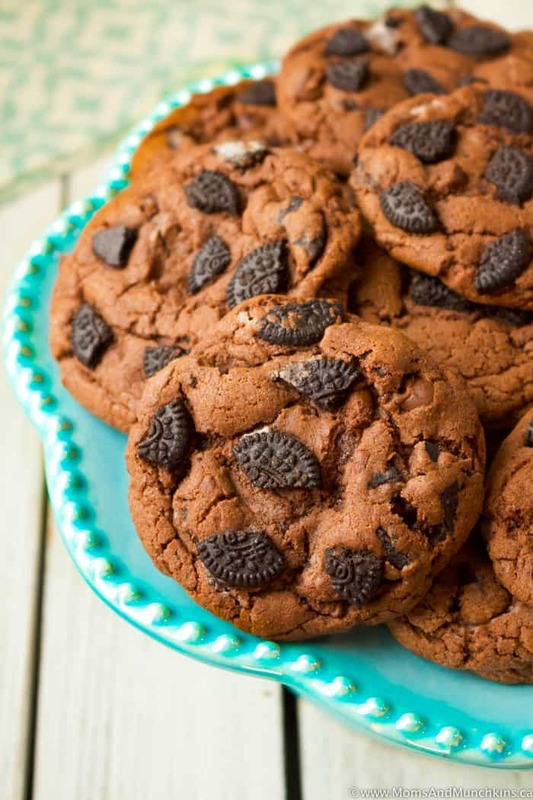 Press remaining ¼ cup of broken Oreos into the tops of each cookie. Let cool on baking sheet for 5 minutes before removing to cool completely on wire rack. 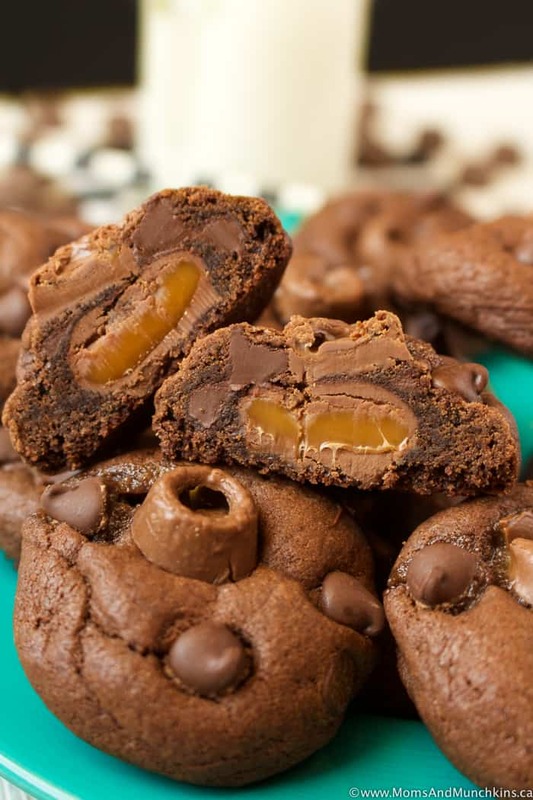 Rolo Cookies – with a Rolo baked inside every cookie! 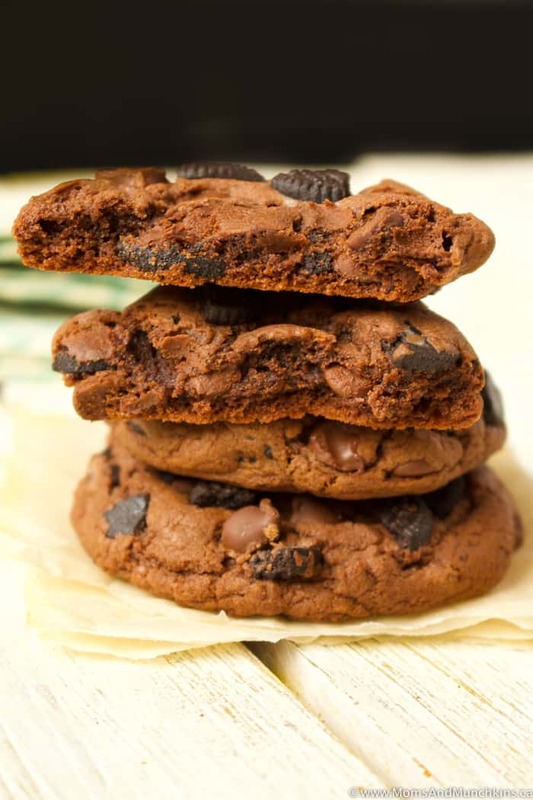 Double Chocolate Coconut Cookies – a delicious coconut macaroon baked inside each cookie. You’ll find more delicious ideas on our Recipes page. Stay updated on the latest home entertaining ideas by following us on Pinterest, Facebook, Twitter and Instagram.